Create an account to save search filters. 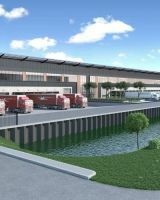 Business area Venneppark in the Haarlemmermeer, Nieuw Vennep, consists of approximately 8.6 hectares and offers flexible, constructible parcels for businesses from 4.000 m². 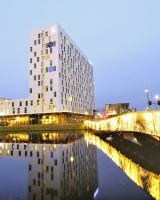 Venneppark N207 is strategically situated on the N207 (provincial road), near the A4-44 with an excellent connection to Schiphol (just 10 minutes!). Furthermore public transport, among which the railway station Nieuw Vennep, with centre facilities, is all very near. Victoriapark West is located in the south of Hoofddorp between the Bennebroekerweg and the Nieuwe Bennebroekerweg, west of the public transportation line. In april 2017, a development plan was established for this new residential area. Amongst others it stipulates that up to 180 houses (ground-dwelling and apartments) will be built. De Hoek is a mixed business park located between highways A4 and A5 and the railroad. It is continually growing and expanding and is currently being restructured and modernized. De Hoek is of great economic value to Haarlemmermeer, because of its excellent location close to Schiphol Airport and as the entrance way to Hoofddorp. De Hoek is under continuous redevelopment and modernization. In 2015 and 2016 a butterfly garden has been built for visitors and local employees. 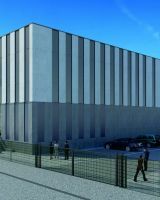 In 2017, construction of the new sustainable SEGRO distribution center (SEGRO Park Amsterdam Airport) has started. The housing need in the Amsterdam Metropolitan Aera remains unabated. The ring is expanding, and in Haarlemmermeer the demand for new construction remains high. 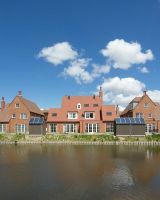 Currently, many homes are being realized in the southern edge of Hoofddorp. In Lincoln Park more than 800 residential homes will be developed. 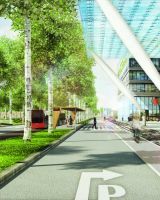 Hoofddorp is developing into a future-proof and lively city. It’s a mix of working, living and a lot of facilities. Residents and entrepreneurs feel connected to the city and are eager to invest in it. The city is connected to the urban network within the Amsterdam metropolitan area. The area of Beukenhorst-West – located between the center of Hoofddorp and the public transport station – plays an important role in completing the ambition of being a future-proof and lively city. 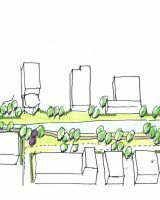 The objective, which is momentarily being realized, is to create an attractive hiking and cycling route from the city center via a renewed park, fruit gardens and tennis courts to Beukenhorst-West (and back). The goal is to transform Beukenhorst-West into a mixed urban area, with a further development of the public transport station into a junction that is up to the mark. 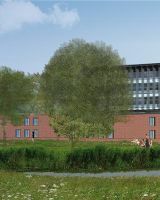 Lijndenhof becomes a business area for high-quality offices and businesses in a green environment. The plots are provided for local, regional, national and international companies. It is about clustering local businesses or high-quality international companies that need relatively many office space on the lot. In addition to companies, Lijndenhof also has space for other facilities, such as a gas station, a fast food chain restaurant or a hotel. 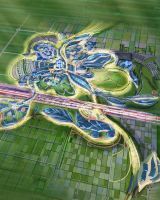 The Municipality of Haarlemmermeer has undertaken the design of a comprehensive conceptual master plan for the 1000 hectare PARK21 based on the themes of polder, park and leisure. Located within the Amsterdam Metropolitan area, PARK21 will be a major destination in the Holland region offering a variety of opportunities for recreation, leisure and entertainment. Business park Nieuw-Vennep Zuid is in remarkably good condition. A hive of active and innovate businesses is located just behind the red wall. The unique architecture and high-quality facilities make it a place where businesses are given ample opportunity and where you can receive your guests with pride. 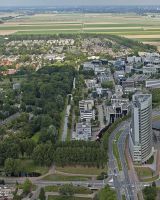 Business park Nieuw-Vennep Zuid is within easy reach of Amsterdam, Schiphol Airport and The Hague. Park Rijk is a comprehensive, international office location with lots of space for greenery. The Park is located on the eastern part of the Haarlemmermeer, west of Aalsmeer, near Amsterdam’s Schiphol Airport. Given Park Rijk’s proximity to Schiphol Airport, it also offers an effective international connection. 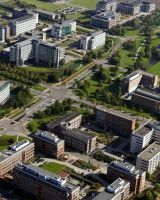 The campus-like layout of the area and up-to-date facilities, such as the presence of a high-quality fibre-optic network, make Park Rijk the ideal location for all kinds of national and international organisations. 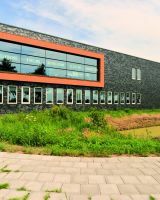 On the business park De Liede in the north of Haarlemmermeer you will find recycling businesses like Afvalzorg, soil remediation by Dura Vermeer and a large 380 kV power station. De Liede will expand in three subareas. A new infrastructure will be developed to increase accessibility. De Nieuwe (=new) Liede is the first phase of the expansion. 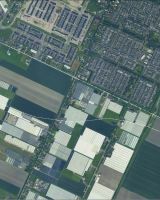 The area lies in the northern part of the business park and is located right next to the intensively used highway A9 between Amsterdam and Alkmaar. Most plots have direct visibility from the highway which provides you with a perfect shop window. 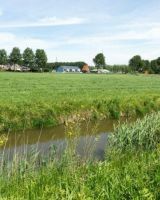 On the northern side De Liede is bordered by the canal the Ringvaart. Sales of plots in the western part of De Liede will start in February 2018. The municipality of Haarlemmermeer is the owner of 'De Liede West'. 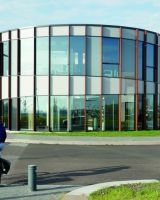 Cruquius Zuid (South) is a small mixed business park where you will find small and medium enterprises of high quality. The park has been realized in 2014 and is located between Haarlem and Hoofddorp near the village of Cruquius. Right next to the park is a lively mall with 80,000 m2 well visited shops for housing, sports and gardening like Intratuin, Sportsworld and Trendhopper and 1,500 free parking spaces. It is within easy reach of the N201, the main provincial road from Zandvoort to Hilversum. The major cities of Amsterdam and Haarlem and Schiphol Airport can be reached within half an hour. 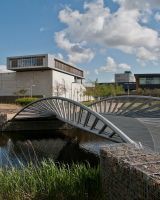 Beukenhorst-Zuid is the most sustainable full service office park of the Netherlands, a pleasant space to work and spend time. 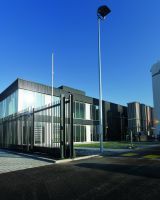 The municipality of Haarlemmermeer has a sustainability ambition for developments in Haarlemmermeer in general, and the office development of Beukenhorst-Zuid in particular. Storage, building materials, recycling, manufacturing industry, transport operations by road and water are all possible at PolanenPark. All things considered, PolanenPark is the only area on the west axis where businesses can go for various types of activities. This is a truly unique location in the region because it combines: the type of business operations, access to water, a high-quality look and a high level of organisation. Park management and a central location in the Amsterdam metropolitan area. Green Park Aalsmeer is located right next to the world's largest flower auction site. This naturally attracts floriculture-related companies, but also affiliated businesses from the home, gift and garden sectors. As Schiphol is only 5 minutes away, it is a prime location for any regional and/or international logistics operator. Green Park Aalsmeer makes a major contribution to the growth of logistics in the Amsterdam metropolitan area. It’s just a five-minute drive from Schiphol Logistics Park to a loading bay at Schiphol. The park is south of the airport, right beside the A4, with its own exit from the N201 and close to the A9 and A5 for Greenport Aalsmeer and the port of Amsterdam. It’s no wonder that the site is considered a triple-A location by many air integrators, forwarders, transporters, investors, hauliers and couriers, lorry repairs, car rental companies en other service providers. Tower D is a new development forming part of the existing office concept The Base (towers A, B and C). The new tower will consist of approx. 6,000 m2 GFA office space on five floors. It is directly linked to the existing towers and atrium, with nearby facilities including a health club, convenience store, library, gallery, a Viva restaurant, and branches of The Market and Starbucks. An underground car park will be built beneath the building. The Base D is a 10-minute walk from the airport terminal and train station, and there is a direct bus link to and from Schiphol and the A9, A5 and A4 motorways. The Base D is expected to be completed at the end of the first quarter of 2018. 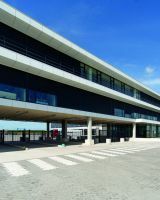 For more information on this and other projects, please visit www.kantooropschiphol.nl. 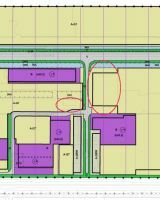 De Loeten is a business park development in the south of the municipality of Amstelveen, within 5 minutes’ drive of the FloraHolland auction site via the N201 exit. There are various plots available, of different sizes. The site is suitable for a range of business activities, but particularly for auction-related and/or logistical businesses in light of its proximity to Schiphol and FloraHolland. De Scheg, in Noorder Legmeerpolder, is the latest district of Amstelveen to be expanded. Its gross area is about 45 hectares, and it is located south of Westwijk between Legmeerdijk and Bovenkerkerweg. 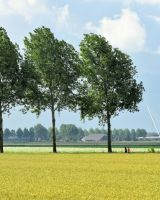 The name Scheg (skeg, part of a boat keel) comes from the shape of the region, whose southern border is formed by a Schiphol flight route (and also an aircraft noise contour) that runs diagonally through the polder. That's the description people most often use when referring to this business park in Hoofddorp. 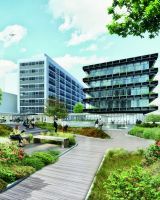 And quality is everywhere you look: the park’s appearance, the very active management association, accessibility (Schiphol is just 5 minutes away) and a wide range of amenities within walking distance, such as the PostNL business point and Copy & Print Centre. This location even offers a nursery. The Presidentshof is also beautifully landscaped, with water, a park and a boathouse so the name is aptly chosen.